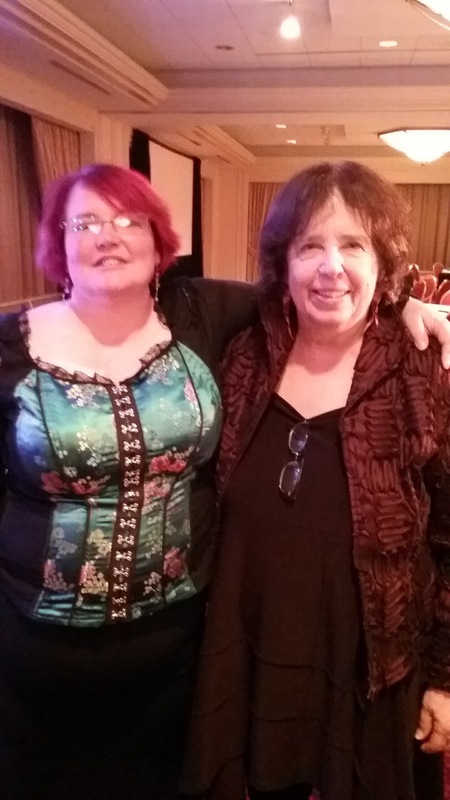 The highlight of my day, though, had to be sitting down to talk to Jane Yolen about her time as SFWA President! 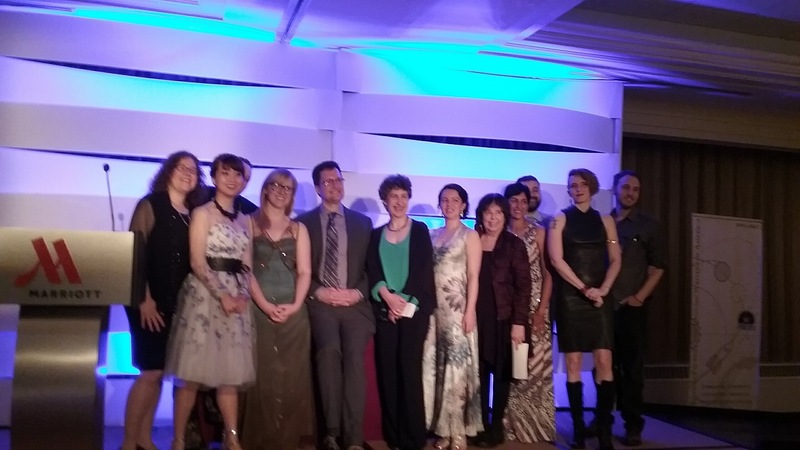 The Nebula banquet and Awards were fun, too. 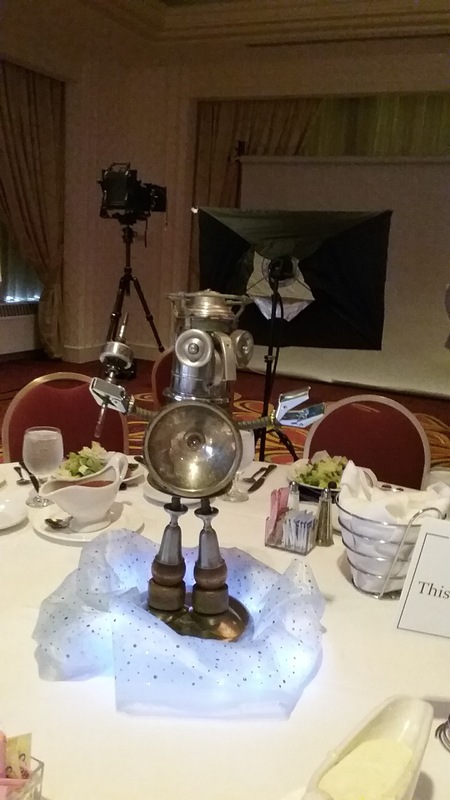 Each table had a lovely robot centerpiece created by Don Jones. Sadly, most of my photos of the actual ceremony are blurry and not worth sharing. There were a number of alternate universe acceptance speeches after the awards by nominees who did not win. And after I got up to my room, I wrote 115 words and this post, and now I am going to sleep!